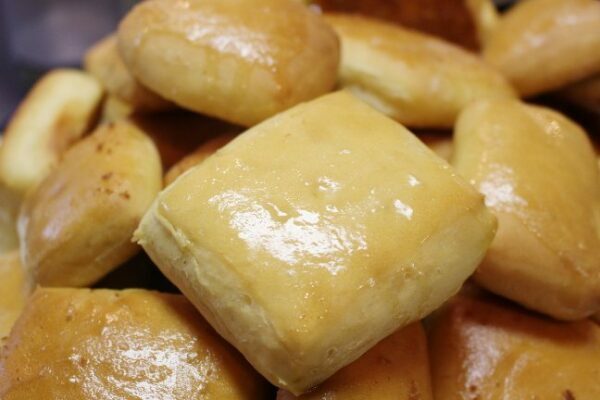 Yeast rolls make the perfect addition to any meal. Whether it’s just a middle of the week lunch, or a special occasion with all the fixin’s… a good yeast roll is always welcome! 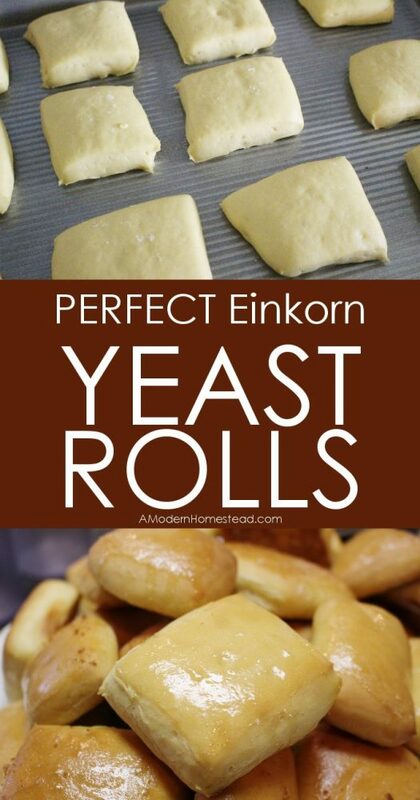 Find out my tips and tricks for the perfect Einkorn yeast rolls. I’ve been working with Einkorn Flour for several years now. But it wasn’t until just a few weeks ago that I really got the hang of the Einkorn / Yeast relationship. My attempts at sandwich bread yielded a No-Knead recipe that I still use often, but I was missing the option to really get in a shape the dough into what I wanted. Drop biscuits were the closest I had gotten, and they weren’t satisfying my desire for a real Southern yeast roll! So I got back in the kitchen, used up about 10 pounds of Einkorn Flour, tested the recipe a dozen different ways before I finally came up with the perfect Einkorn yeast roll! Lightly grease a large mixing bowl and set aside. In the bowl of an electric mixer, place 2 cups of Einkorn flour. Boil sugar and water just until sugar is dissolved, cool for 5 minutes until approximately 105 -115°. Add yeast and stir. Set aside and let sit for 10 minutes. Melt butter in pan, add milk. Leave over heat and sir until milk and butter are well combined. Add yeast to warm milk/butter mix. Slowly pour liquids over the flour in mixer. Mix on low with the whisk attachment. Add salt, and remaining flour ½ cup at a time. Once flour is well combined, switch to dough hook and mix on low for 15 minutes. Transfer dough to greased bowl, cover with cling wrap. Allow to rise for 1.5 hours. Remove dough from bowl, place on floured surface, punch down, and roll to approx ½ inch thickness. Using a pizza cutter, cut into 2 x 3 inch rectangles. 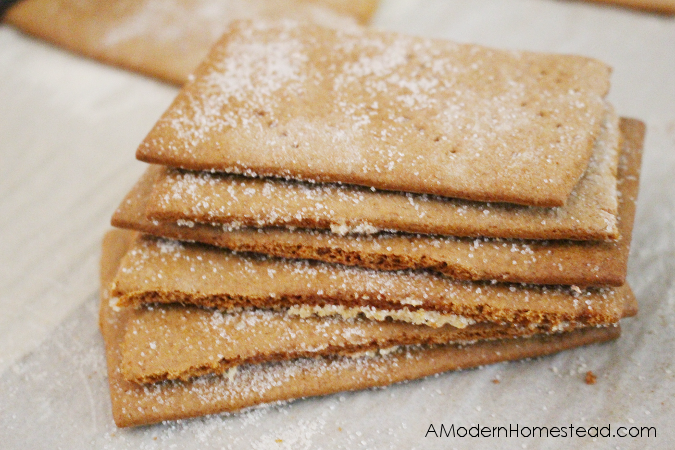 Place each piece 1-2 inches apart on a parchment lined baking sheet. Cover with a kitchen towel and allow to rise an additional 1.5 hours. Once second rise is complete, remove towel and bake for 12-15 minutes, until golden brown. Once baked, brush with melted butter. Allow to cool slightly (if you can) and serve warm! Hi there, I was wondering if I can knead the dough by hand since I don’t have a dough hook. If so, how long should I knead it? Hi Savannah, you definitely can! 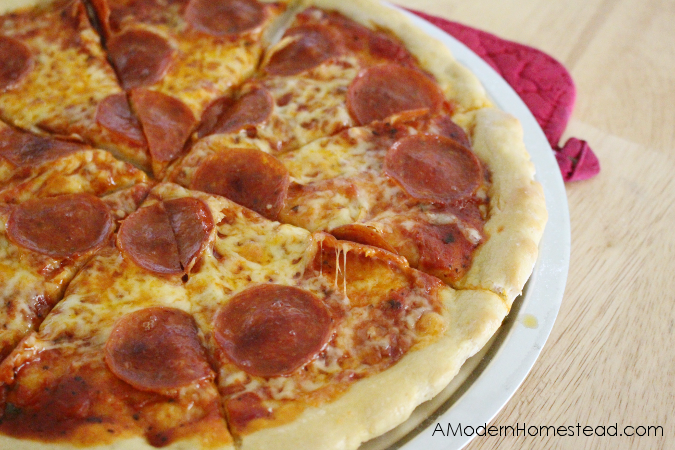 Just knead it for about the same amount of time as indicated in the recipe :-) Enjoy! Hello again! I tried kneading the dough by hand and the end product was good, I could just tell something wasn’t right about them. I followed all the other directions, but the buns seemed kind of flat overall. They had a similar texture to a muffin and a roll combined. They were sort of dense. Do you think that maybe I didn’t knead the dough enough? I am totally new to making bread. So far I have only made gluten free bread which does not require kneading. They also kind of had a strong yeast flavor that was overpowering, but after I baked them longer it died down a bit. I would love to show you a picture, but I didn’t see an option for that. Honestly though, I think that if I could get the technique down they would be absolutely perfect. Would it work just to mix the dough wii an electric mixer using the mixing attatchments? I love kneading by hand, I just want the best product possible. :)Thanks so much for the recipe and for all of your help! For those of us who are not eating refined sugar, I am wondering if I could substitute honey instead of sugar. Do you know how much honey I would use instead of the sugar? Thanks! Hi Liza, great question! You can leave out the sugar altogether as it’s just for a bit of sweetness and not for the rising action. But if you want that sweetness, I’ve made it with 2-4 Tbsp of honey and it’s worked perfectly! Am I not seeing this or is the salt not mentioned in the directions? When to put it in ? Can these be frozen to use a few at a time? If so what step would that be. Hi Debbie, great question! 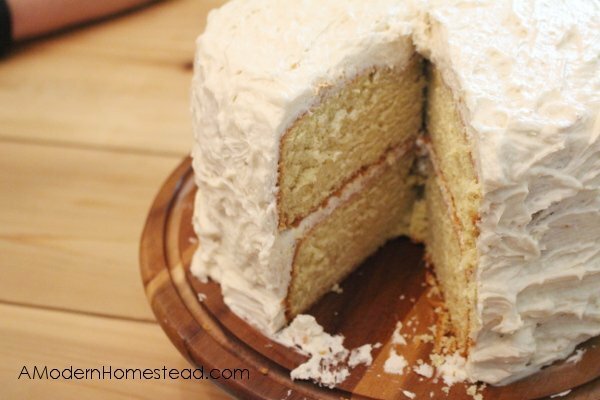 I have personally frozen these at 3 different stages with great results each time. For option 1, remove from freezer and allow to rise at room temperature for 2 hours, then bake. Option 2, Remove from freezer, let rest at room temp for about 30 minutes, bake. Option 3, remove from freezer and allow to come to room temperature then eat. OR place frozen rolls in the oven at 350° for about 15 minutes to warm. Can’t go wrong with these! Love your no knead bred version. We are dairy free in our house and I desperately want rolls or hamburger buns. Ever made a dairy free version of either of these? ?